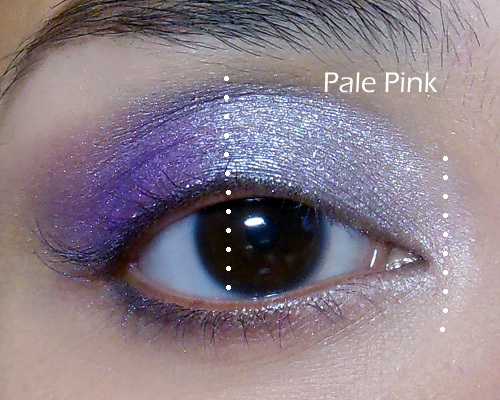 Lavender is a universally-flattering color for most eye and skin colors, and I always consider it one of those shades that functions like a neutral because it goes with everything and everyone. A contoured, pearlescent lavender eye like this one can look sultry and dreamy at the same time (as seen on Jessica Rabbit), AND you can change the entire look just by switching out your lip color. 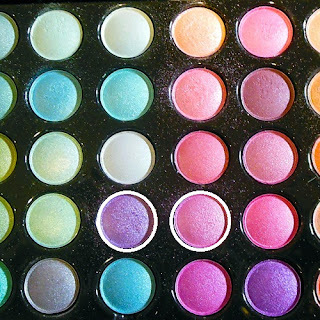 What you want to be careful of, if you have uneven skin tone or a lot of red/pink in your skin, is to pick purples that lean more silver or blue. 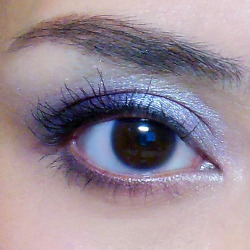 If you have mature lids, go with slightly less metallic/shimmery shadows than I used because a high-sheen can emphasize lines. 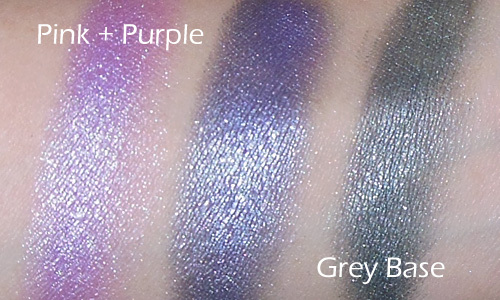 If you are layering it over a grey/silver base like I did here (See below), remember that you need to go with a slightly more pink-toned shade than you want because the blue undertones in the grey base will make a purple look blue. I used the 88 Shimmer palette, but you can find soft pinks and purples EVERYWHERE so don't feel you need to purchase a brand new palette for this. 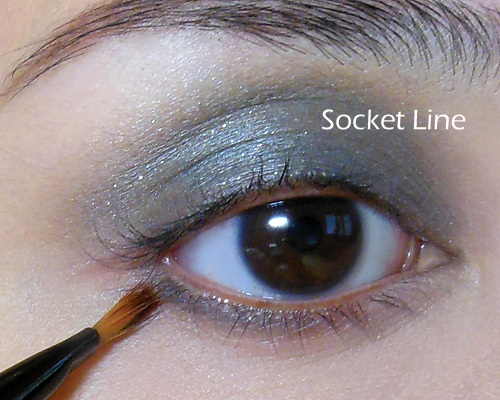 Step 1: Apply your base all over the lid up to the socket line, but don't wing it out at the outer corners. You want to keep the eye shape quite round and doe-like for this. 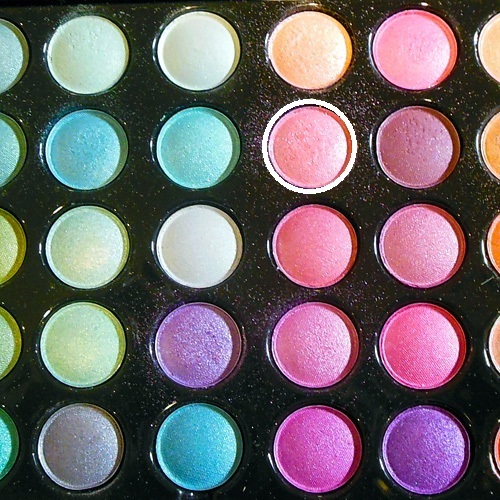 Step 2: From the 88 Shimmer palette, I picked a lavender and cool pink in the 2 center columns and mixed them together on a brush. 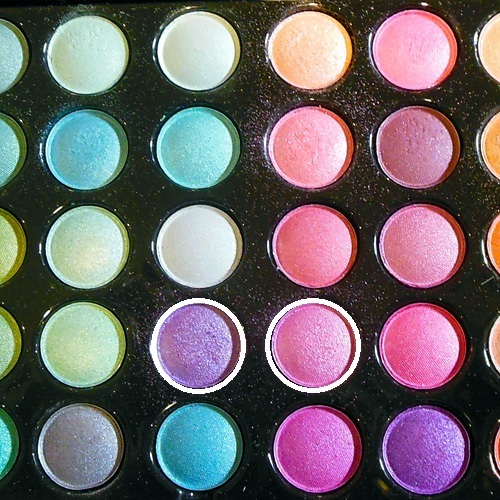 Then I applied this mixture onto the outer half of the lids, below. As you can see the mixture goes on a straight lavender because the grey cancels out the pink/red tones. If I'd used just the purple, my shadow would look almost blue. Step 3: Next I picked a warm-toned paler pink and applied that onto the inner half of the lids, blending into the pink-purple from earlier. 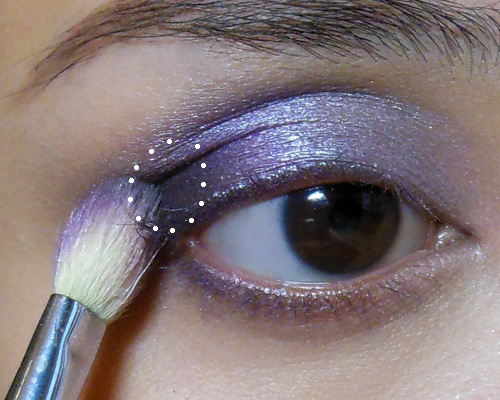 Bring this down the inner corners to the lower lid as well. 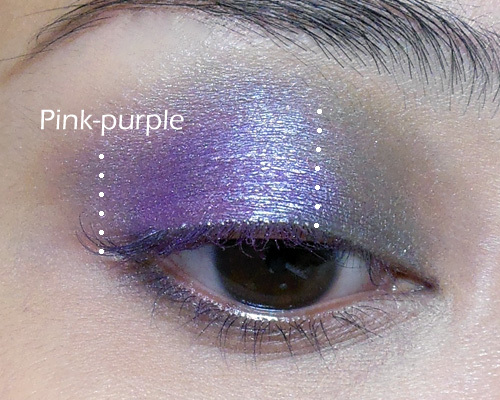 This creates a brightness at the inner corners of your eye, and is great if you have close-set eyes. 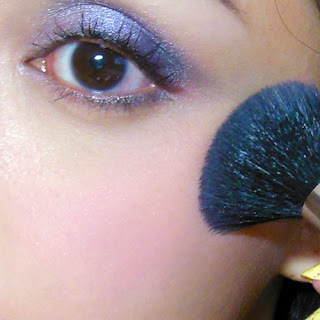 Step 4: To finish the shadow, just apply a little charcoal or black shadow right to the outer corners. I did not bother to sweep it upwards along the socket line but if you have hooded or mono-lids and want to emphasize your socket a bit more, you can do that. Step 5: For extra definition at the lash line, I applied a thin line of black pencil to the outer half of the lids and then used the same shadow brush from earlier to soften and blend it out. Then I finished with black mascara. 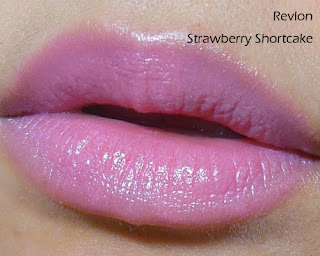 Step 6: Because I'm going with a cooler toned lip for this look, I chose a raspberry pink blush. Try something like Nyx Pinky which looks like a super-bright fuchsia, but goes on quite pretty. If you want you can apply just a little matte bronzer around the edges of your face and temples, jawline to add some dimension back to your face. Step 7: For the lips, you have the option of using a soft pastel blue-based pink like Revlon's Strawberry Shortcake Lip Butter, OR you can apply a deep dark liver-red (MAC Diva). The dark lip instantly turns the look into a rather "Noir" one, and I didn't touch the eyeshadow or the blush at all.